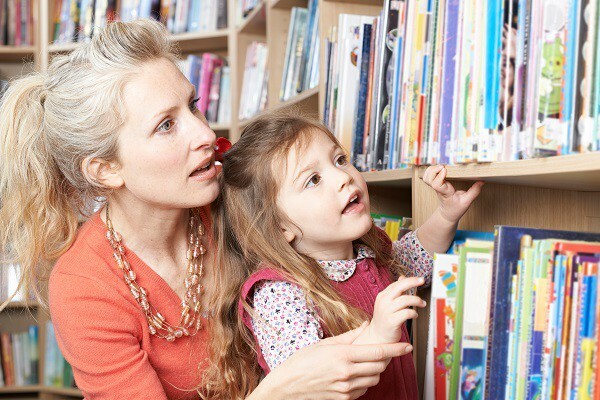 Research and specialists agree that reading with your child is the single most important thing you can do to help with their education, so Julie Whittingham gives us some ideas to help you with your momentous task. Never forget how important reading is: research shows that reading up to 30 minutes a day with your child creates a difference in reading performance equivalent to just over a year’s worth of schooling! Reading is not an exception to the rule that practice makes perfect. Be honest about your own reading ability, and whether you need to read more or support to help you do so. Decide with your child on your “comfy” reading place and time, set it in stone and defend it fiercely. Be enthusiastic; take time to discuss a book and enjoy it. Don’t struggle to the end if the book has prompted an enjoyable discussion. Create fun and positive reading memories that they will draw upon when they are parents; associate reading with laughter and love. Let children experience books before they can read in words, there is nothing sadder than a child who when given a book does not know what to do. Visit a library! Join a library! Use a Library! Enough said. Ask your child what they would like to read about and what interests them. Talk about your favourite books and what you like to read. Ensure books, papers and reading material fill your home, and that you read too. Don’t worry initially about what they read or about moving them on from picture books. Don’t dent their confidence! Read a series of books; you can look forward to the next one, or enjoy the films or TV programme together. Read non-fiction for a purpose: a news story, a school topic or a place you plan to visit. Support younger children with their phonics and vocabulary by talking and talking some more! Teach them nursery rhymes, word games and songs. Talk to your child’s teacher about how you can support them at home. When all your hard work has paid off and your child is an independent reader don’t stop sharing what you read and reading together. Julie is a published writer and a teacher. She writes on education, history, travel and wildlife. Read more from Julie on her blog called thetimetraveller.blog. Follow her on; Twitter @jwtimetraveller and Instagram: thetimetraveltourist. Who are the celebrities in panto in 2018? Denise Welch on starring in one of the biggest musical tours of the decade!